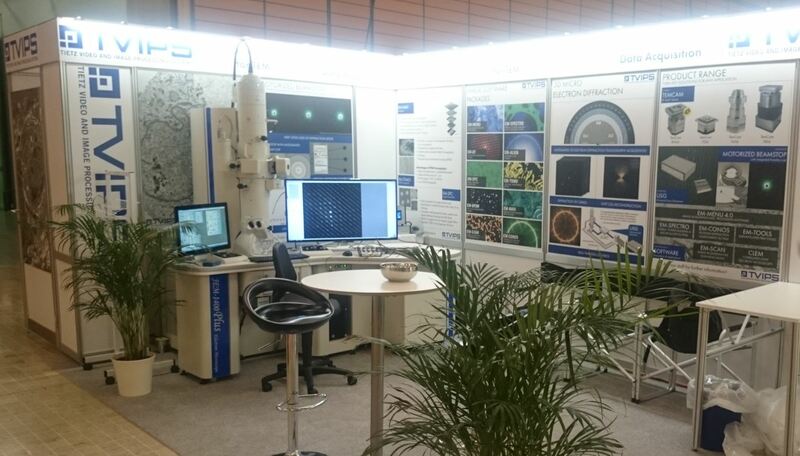 Combinging a low magnification overview and localization capabilities of light/fluorescent microscopy with the high resolution of electron microscopy, Correlative Light Electron Microscopy (CLEM) appears to be the most appropriate way to dissect the complexity of biological samples. CLEM uses an image taken by a light/fluorescent microscope and displays it as an overlay over EM-Menu. By aligning that image to the EM-image taken by EM-Menu – either manually or automatically by selecting corresponding points – features visible in the light microscope can be identified on the EM-image and further examined using the EM. It is also possible to use EM-Menu through the overlayed image, e.g. for navigating to a point of interest while observing the image of the light microscope. By selecting corresponding points in both images the optical image is automatically aligned over the EM-image. Overlay image can easily be manipulated by mouse, e.g. rotation, translation, scale, transparency etc. Furthermore the whole application can be controlled by keyboard shortcuts. EM-Menu can still be controlled, even if the overlayed image covers EM-Menu controls. It is possible to click through the overlay. Overlay images can easily be loaded by drag & drop. Just drop an image on the CLEM Droplet and the image overlay will be displayed. EM image left and overlay optical image right. The colored crosses mark the corresponding points.